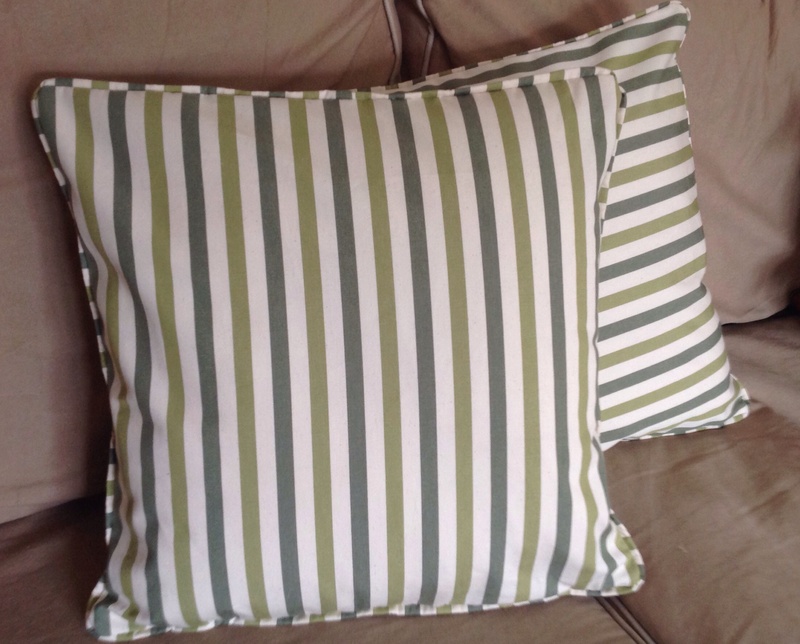 My mum had some leftover fabric from reupholstering some dining chairs so asked if I would make a couple of cushion covers to match. 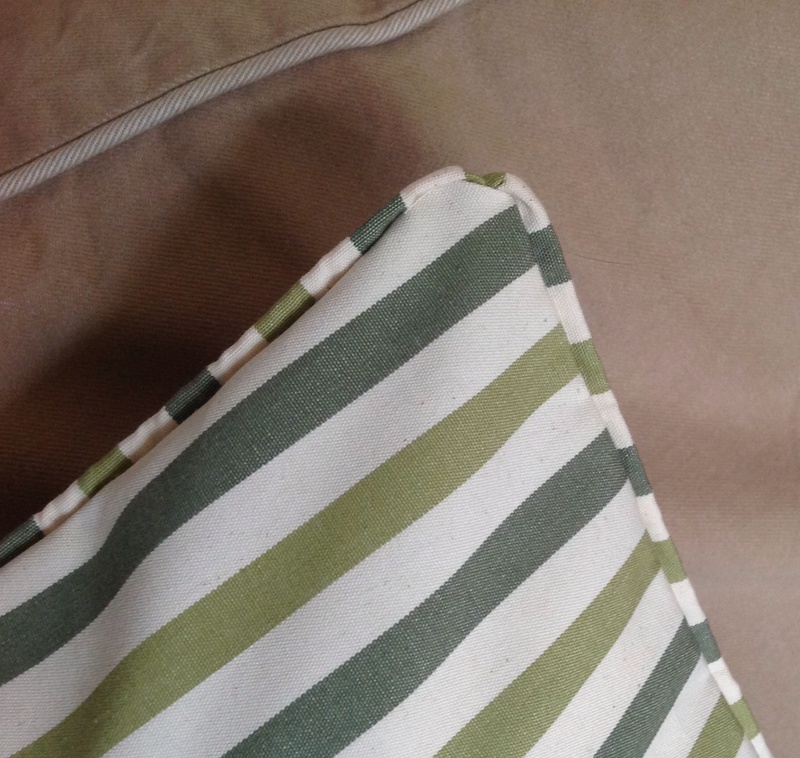 I had a bit of excess fabric so thought I’d give piping a go As I’ve never done it before on cushions, and last time I tried it, it was with a circular pencil case end and was very fiddly. 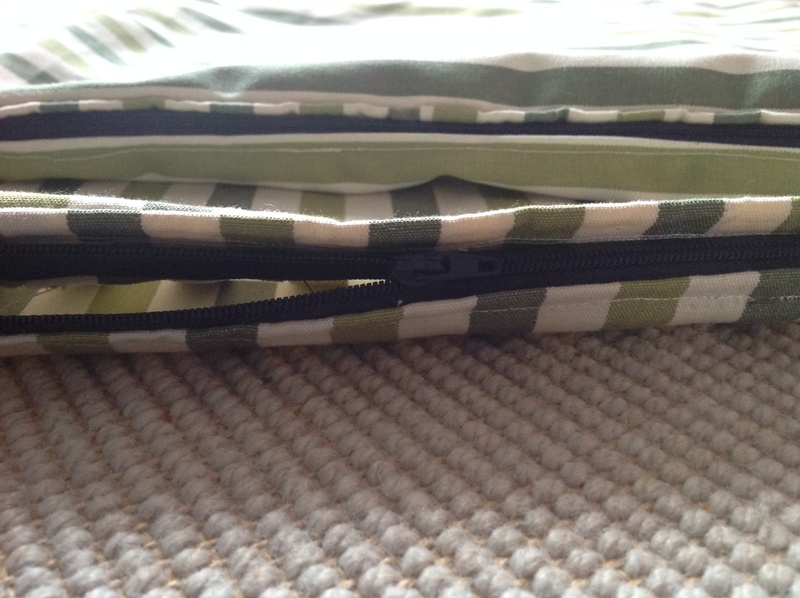 Zip detail, hidden by the piping!